All you have to do is just stick it in the ground, give it a little water, kick back and watch it grow. The foliage is so glossy green and free from black spot that the bush looks great even without flowers. But you won't have much of an opportunity to see just leaves 'cause it blooms up a storm. 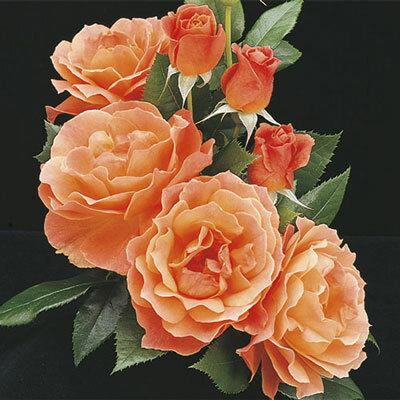 Scrumptious flowers of showy apricot orange will light up your landscape. Very consistent in all climates. Great in the landscape or in mass plantings. Available budded & own-root.